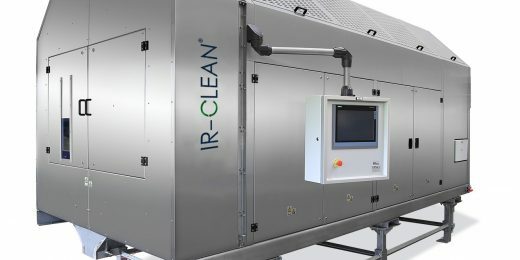 KREYENBORG’s IRD – Infrared Drum: Crystallizing and drying in one step. 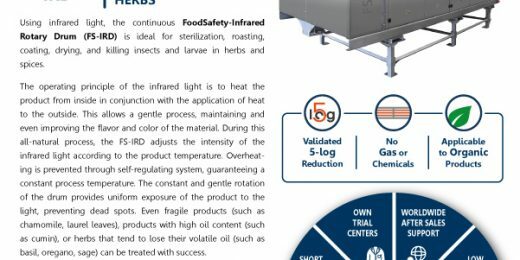 With the FoodSafety-IRD, you can continuously disinfect / sterilize foodstuffs, dry, stock-protect, develop flavors, coat and roast in just a few minutes. Food safety has assumed a crucial role in recent years. Make and keep your foodstuffs safe with KREYENBORG-Technology. Learn about and test the diverse fields of application of our FS-IRD for food. gentle mixing of free flowing bulk-materials. We have been a global partner and solution provider to the plastic industry for more than 50 years. 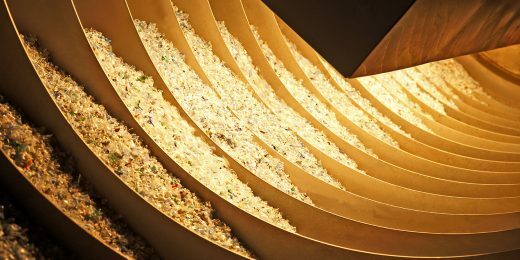 In addition to innovative turn-key solutions for bulk material handling, our core competencies are in the fields of drying, crystallization, storage, mixing, conveying and dosing of plastics. In the food sector, our focus is on food safety. 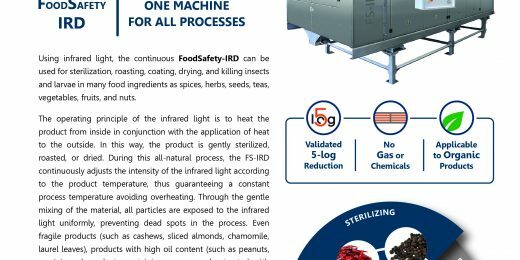 Our FoodSafety-IRD reduces germs, decontaminates, dries, disinsectizes, opens flavors, roasts and toasts. We offer turn-key solutions that integrate our problem-solving expertise in storage, mixing, conveying and dosing processes. In addition to turn-key solutions for bulk material handling, we offer solutions in the fields of drying, crystallization, storage, mixing, conveying and dosing. Our experience, an understanding of processes, excellent quality products and solutions for high security demands make us a strong partner for the chemical industry.